Ask our expert, Marc Moncion, any questions you may have around fleet safety, compliance, DOT audits, roadside inspections or CSA scores. 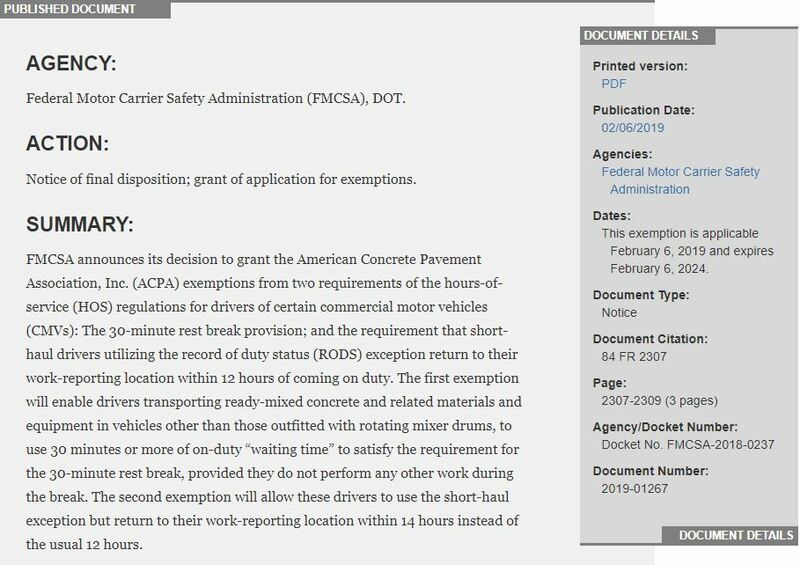 Please be advised that the Federal Motor Safety Carrier Administration (FMCSA) has approved a request from the American Concrete Pavement Association (ACPA) for two exemptions for drivers of certain commercial motor vehicles (CMVs) that are otherwise governed by the U.S. federal hours of service regulations. The two exemptions in question are specific to the 30-minute break requirement under 49 C.F.R. § 395.3(3)(ii), and the 12 hour daily on-duty limit on the short-haul exception under 49 C.F.R. § 395.3(a)(3)(ii)). The 30-minute exemption will now enable drivers transporting ready mixed concrete and related materials and equipment in vehicles other than those outfitted with rotating mixer drums, to use 30 minutes or more of on-duty “waiting time” to satisfy the requirement for the 30-minute rest break. The specific condition that must be met is that this class of drivers cannot perform any other work during the break. The second exemption that was granted will allow these drivers to continue to use the short-haul exception, but the requirement to return to their work-reporting location is amended to now be within 14 hours, instead of the usual 12 hours. View the full pre-publication version of FMCSA’s notice of final disposition and grant of the application for these two exemptions. The above information is for informational purposes only, and should in no way be relied upon as legal advice. 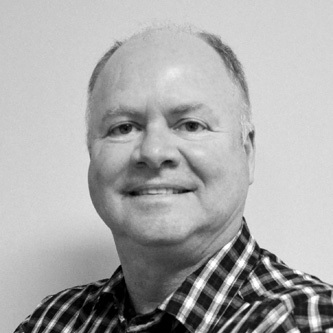 Marc is the Head of Safety, Compliance & Regulatory Affairs at Fleet Complete. He is an author and industry subject matter expert who has worked in numerous senior transportation management roles for over 25 years, including an Inspector for the MTO. 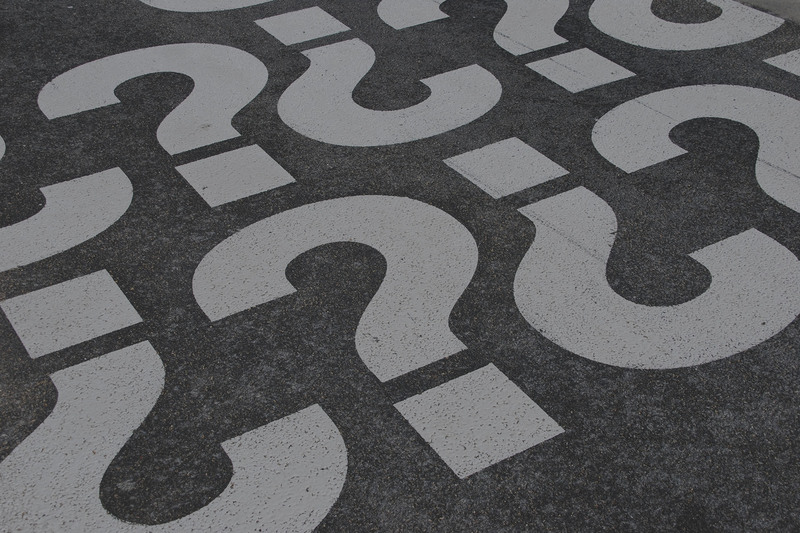 Marc sits on several Federal/State/provincial regulatory bodies and frequently provides commentary on emerging technology, best practices and regulatory affairs. In addition, Marc is a commercial driver's licence (CCD) holder and can drive all types of commercial vehicles in North America. Get to know Marc here! 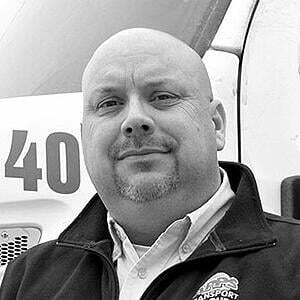 Guy is a Driver Recruiter/Training Supervisor and Social Media Specialist at APPS Transport Group. Certified under the WSIB guidelines and a member of JHSC, Guy is an integral force behind the company's impeccable driving record. The APPS Safety Team has achieved the highest rating of Commercial Vehicle Operator Registration (CVOR) given by the Ministry of Transportation in Ontario. Since 2010, Guy has written for and contributed to numerous publications and associations, as well as has been elected as Chair of Ontario College of Trades Tractor Trailer Driver Trade Board, recently re-elected as Chair for the TTSAO Carrier Group, has sat on numerous provincial industry committees and is a Award Winning Driver recognized on both sides of the border. 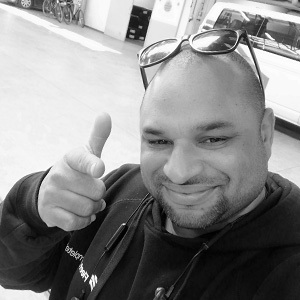 Brayn transformed his passion and hobby of installing multimedia devices and car kits in luxury vehicles into a career in 2004. Since then, Brayn has installed thousands of electronics and GPS systems in a variety of vehicles and machines with or without a power source, even on bicycles. Bryan provides professional installation, re-installation and on-site technical services to Fleet Complete customers. Throughout his career, Brayn has encountered the effects of improper GPS system installation on the integrity of the vehicle and driver's safety, and offers his insights and tips to help ensure fleet managers and technicians are using best practices to install GPS equipment in their vehicles.